Over the past year and a half, May Tran (writer, student, and professional procrastinator of Vietnamese descent) has been inundated with PR for two professional and 1,600 amateur productions of Miss Saigon. The above piece has been cobbled together from segments of the largely incomprehensible fury essays she wrote during her frequent and violent rage blackouts. Over the past 18 months, I’ve been inundated with 1,600 requests to perform in Miss Saigon. 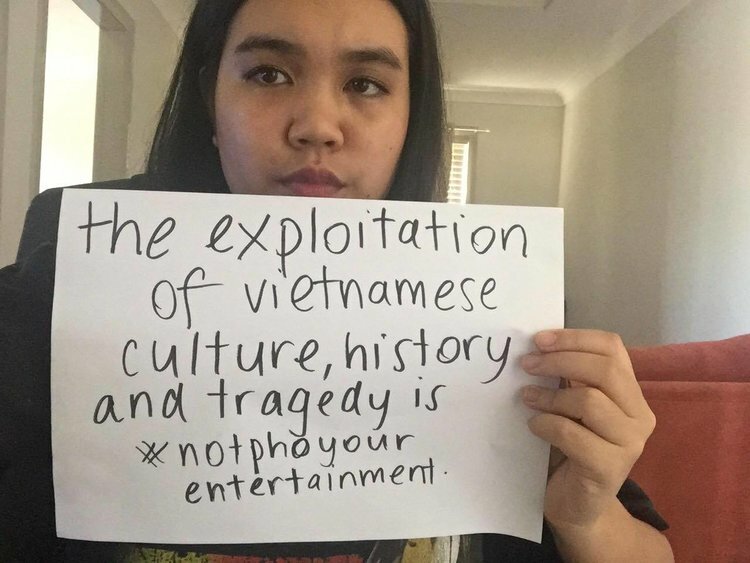 Yet still, as an Australian of Vietnamese descent, if you consider the industry whitewashed, I call it a tsunami.